Flipkart Apple Days sale will be held till April 9, where the e-commerce site will offer discounts and deals across several iPhone models including the iPhone X, iPhone 8 and iPhone 8 Plus. Here’s a look at all the offers. Apple iPhone X (64GB) will be available at Rs 79,999, down from Rs 95,390. The 256GB variant is selling at Rs 94,999 instead of Rs 108,930. Apple iPhone X is the flagship phone from the company with its Face ID function, edge-to-edge Super Retina Display, Animojis, and dual rear camera with OIS on both sensors. Apple iPhone X is powered by the A11 Bionic chip. iPhone X is listed with an extra Rs 10,000 off on EMI transactions. Apple iPhone 8 (64GB) is listed for Rs 54,999, down from the MRP of Rs 67,940. The 256GB model of iPhone 8 is selling at Rs 69,499 instead of Rs 81,500. Apple iPhone 8 Plus (64GB) can be bought at Rs 63,999, while the 256GB storage model is listed for Rs 84,790. The two storage models are originally priced at Rs 77,560 and Rs 91,110 respectively. Users will get an extra Rs 8,000 cashback on EMI transactions. The iPhone 8 and iPhone 8 Plus are both powered by the same A11 Bionic chip as the iPhone X. Both have a glass and metal body and come with support for wireless charging. Apple iPhone 7 (32GB) will be selling for Rs 41,999 during the sale. Its 128GB storage variant can be bought at Rs 53,990. The MRP of the two storage models are Rs 52,370 and Rs 61,560 respectively. Apple iPhone 7 Plus (32GB) is available for Rs 57,794, down from Rs 62,840. The 128GB storage models of the phone can be bought at Rs 65,699 instead of Rs 72,060. 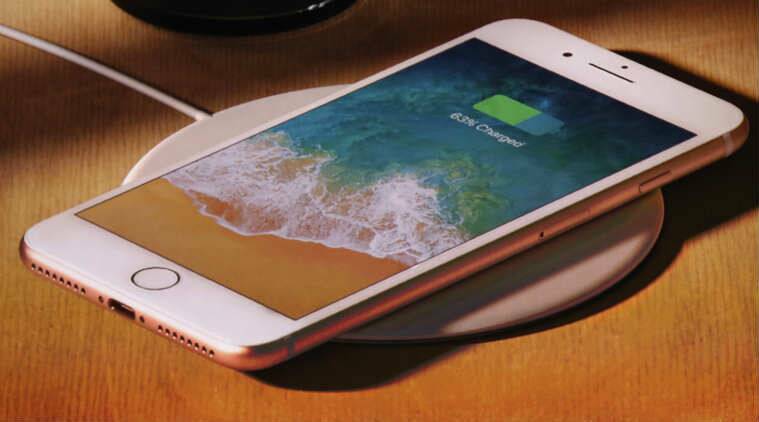 Apple iPhone 8, iPhone 8 Plus have a glass and metal body and come with support for wireless charging. Apple iPhone 7 has a 4.7-inch screen compared to a 5.5-inch on the bigger 7 Plus. The iPhone 7 Plus has a dual-rear camera like the iPhone 8 and iPhone X series, while iPhone 7 gets a single 12MP rear sensor. The smartphones are powered by A10 Fusion chip. Apple iPhone 7, iPhone 7 Plus are listed with extra Rs 4,000 off on EMI transactions. Apple iPhone 6s, which is now nearly three year old, will start at Rs 32,999 for 32GB storage model. In India, iPhone 6s is priced starting at Rs 42,900. Apple iPhone 6s Plus, which has a bigger 5.5-inch display is listed at Rs 38,999 for the 32GB version. The MRP of iPhone 6s Plus (32GB) is Rs 52,240. Users will get extra Rs 3,000 off on EMI transactions. Apple iPhone 6 is starting at Rs 24,499 on Flipkart. Apple iPhone 6 was originally launched in 2014. Finally, the iPhone SE is available for under Rs 20,000 at a price of Rs 18,999 on the website. The two phones are listed with extra Rs 2,000 cashback on EMI transactions offer. Apple Watch Series 3 is listed for Rs 32,900 for 42mm Aluminium case version. The older Series 2 has a price of Rs 24,900 for the 38mm Aluminium case version, while the 42 mm version is priced at Rs 26,900. The older Apple Watch Series 1 is starting at Rs 21,900.